BOSS, LONDON, SLE, 2 3/4", 28" choked Sk1/Mod. 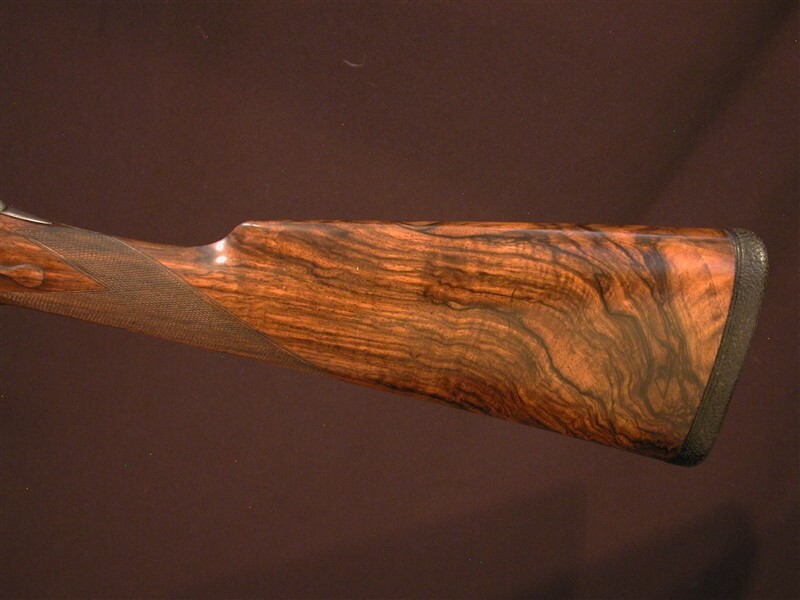 14 7/8" highly figured wood to black pig skin covered pad. 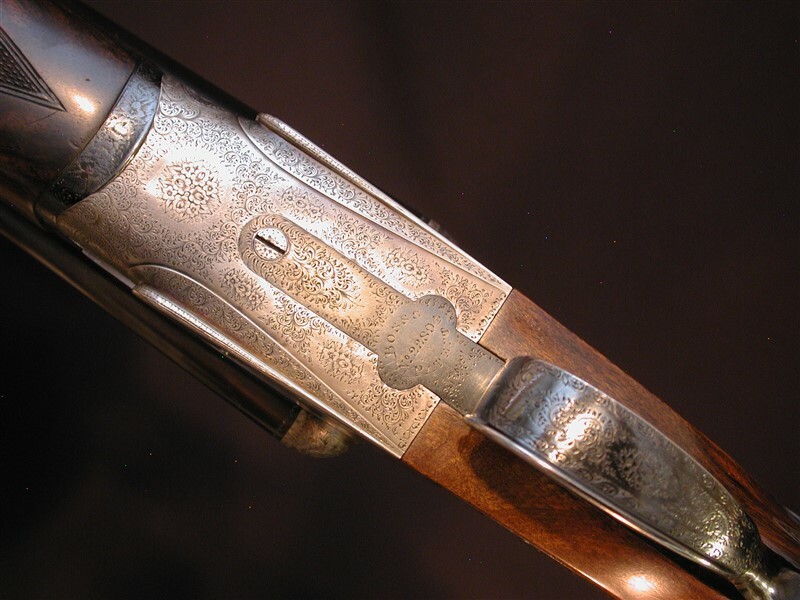 Bar action sidelock retains strong case colors on top of London best rose and scroll engraving. Rolled trigger guard and the Patented Boss single trigger round out this top drawer firearm. 6lbs. 5oz. 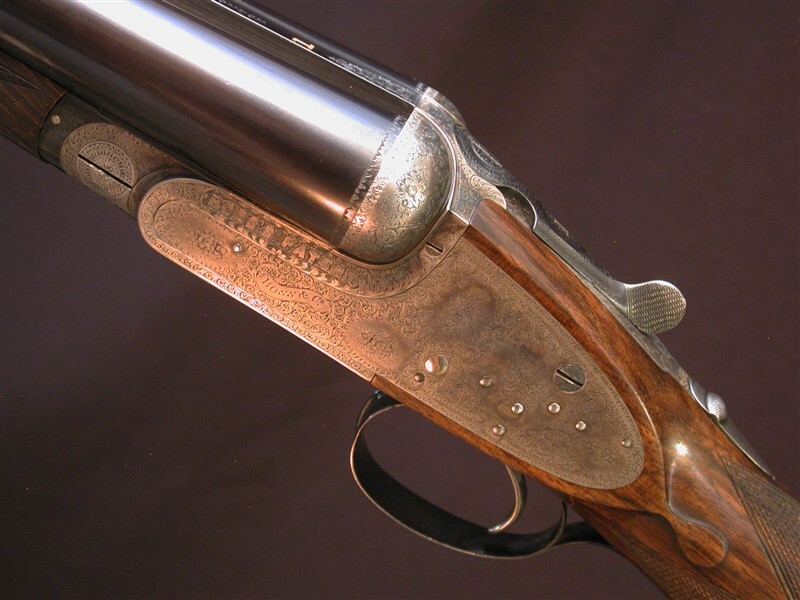 The gun was re-barreled in 2000 by Philip Turner a barreler for Purdey and barrel shop foreman for Holland and Holland. The balance is absolutely outstanding. 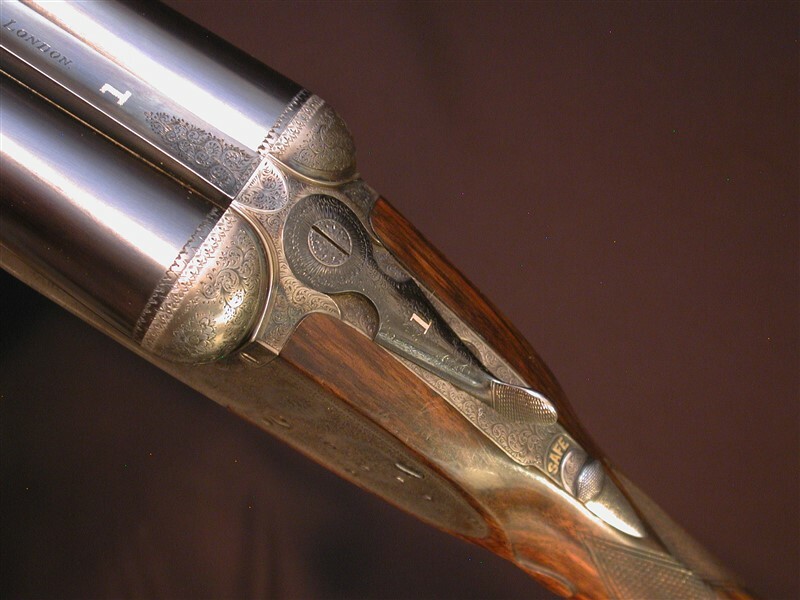 A first class gun through and through.